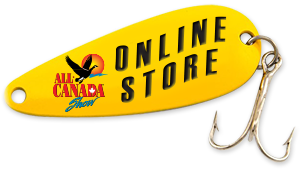 The All-Canada Show is an exhibition of all things for your fishing, hunting, and outdoor adventures in Canada. 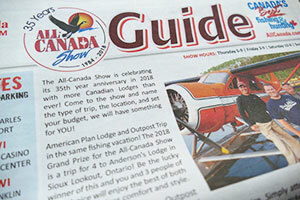 Join us at the show to talk face-to-face with the Canadian lodge owner and book your Canadian adventure. The All-Canada Show has Canada's BEST fishing and hunting with the largest gathering of Canadian lodges, camps, outfitters, and resorts in the U.S. Our exhibitors offer a wide variety of fish species that will appeal to every angler. Outfitters offering hunting adventures to include big game, waterfowl and upland game.